Pretty decent quality for a inexpensive hockey net, easy set up too. The net is a bit big, and had to cut a few inches off the middle tall support , seems it was too long from the factory and was racking the frame so it wouldn't sit on the street flat. But once cut, it's perfectly fine. Great for the money, doesn't pay to make one from the hardware store anymore. 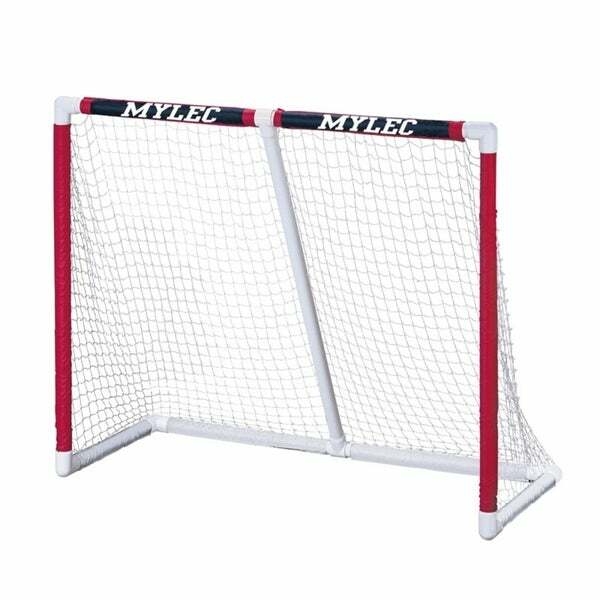 The Mylec All Purpose Folding Sports Goal provides a rugged, high impact 1 5/8" PVC tubing with center pipe support for added strength. Durable sleeve netting system assembles in minutes. Folds for easy storage.